Portland, Oregon is a well-established pilgrimage for Australian beer enthusiasts, but less of us extend ourselves beyond its limits. This is a shame, as Oregon State has much to offer in terms of regional brewing riches, outstanding food, world class wine, unrivalled natural beauty and outdoor adventure. Having previously documented Portland’s beer scene, I began my 2017 Oregon adventure outside the city in Forest Grove, a small town in the Tualatin Valley. 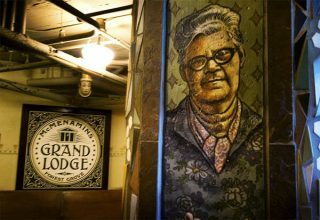 We stayed at McMenamin’s Grand Lodge, part of the 50-strong brewpub hotel chain, which was an experience in itself. The hotel was formerly a Freemason’s lodge for the elderly and young orphans and McMenamin’s plays on this mystical heritage with characteristic eccentricity. Psychedelic murals adorn the walls throughout and there is a secret passage between floors that guests are challenged to seek out. The hotel has no less than three bars, including the ‘Doctor’s Office’, which salutes its former tenure as a dental clinic for residents. And McMenamin’s is no slouch as a brewer, either – the Hammerhead Ale in particular is a brilliant drop. Forest Grove itself was also fun to explore, with a couple of brewpubs worthy of a visit. Ridgewalker Brewing is a slicker operation offering dude food and a large selection of beers from all over Oregon. At Waltz Brewing we received a very warm welcome from locals, for whom we were a novelty, as local band Forest Grove Outlaws thrashed out an entertaining set of bluegrass and rock n roll. 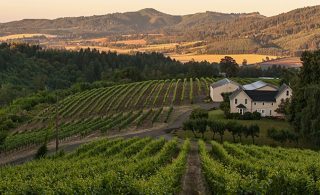 The Tualatin Valley sits in the northwestern corner of the Willamette Valley, well renowned for exquisite cold climate wine that my travelling partner and I devoted ourselves to exploring over several days of cellar door visits. I can highly recommend local biodynamic winery Montinore Estate for some lovely Pinot Noir and a memorable skin contact Pinot Gris. Another must visit is David Hill Vineyards, a picturesque setting for sampling some epic Pinot Noir and Gewurztraminer. We also enjoyed a tour of local sake brewery, Sake One, which has an impressive visitor centre where you can sample their own sakes alongside some of Japan’s finest exports. We took a day trip to Oregon City to kayak the Willamette River. The 90-minute Willamette Falls expedition run by friendly, helpful guides from eNRG Kayaking heads one mile upstream, passing by the historic Willamette Falls Locks en route to the waterfall itself, encountering sea lions and other local wildlife along the way. Having worked up a hunger, we stopped by Oregon City Brewing, where OP Wurst has a kitchen on-site. OP is the gourmet hotdog company founded by Portland’s renowned charcuterie artisans Olympia Provisions. Ranging from the pastrami-piled Reuben Dog to the whole Enchilada Dog, they were the finest hot dogs I’ve ever been lucky enough to try. The ideal match for some tasty local beers. 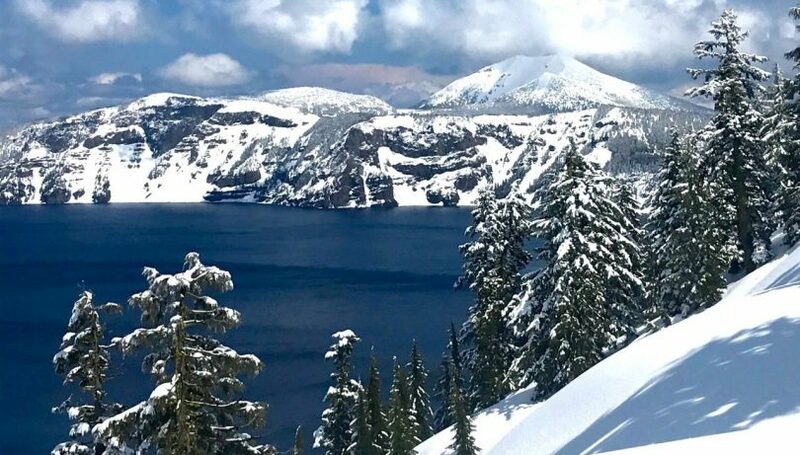 At this point we joined America’s Hub World Tours for a version of their Portland to Crater Lake tour, shortened to suit the limited time we had available. Our fantastic guide Phil took us via the scenic Van Duzer corridor to Lincoln City, where we made our way south to Florence. This drive showcases some beautiful spots along the rugged Oregon coastline, alternating between dense forest, rocky outcrops and sand dunes – a must see. 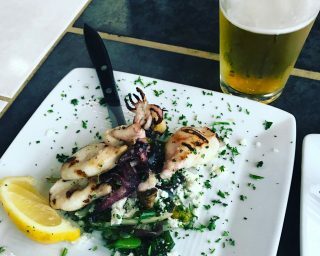 We stopped for lunch at Local Ocean Seafoods in Newport, where fresh local squid and Dungeness crab cakes were matched with one of the most memorable beers of the trip, an exquisite pilsner from Oregon natives Breakside. While in Newport, I was able to tick off a bucket list item – a Pint of Brutal IPA at the original Rogue Ales & Spirits brewpub. Overnight we stayed in Eugene, a college city that is home to worthy beer venues including The Beer Stein, an international-style beer hall with 30-odd taps and a massive bottle list. Dinner was tacos and mezcal at hip Mexican joint Tacovore, located just across the road from Sam Bond’s Garage, the namesake brewery’s eccentric, dive bar-style taproom that was a fun place to stop for a nightcap. We rose early to make the journey to Crater Lake National Park, home of the incredible eight kilometre wide lake resulting from a volcano’s collapse 7,700 years ago. Even though it was April, the entire park was still completely covered in snow, and the immense scale and beauty of the lake completely surpassed our expectations. It is one of the Seven Wonders of Oregon, and absolutely worth the long drive from Eugene (four hours) or Bend (three hours). Overnighting in Bend, we enjoyed one of the finest brewery experiences I’ve had anywhere. 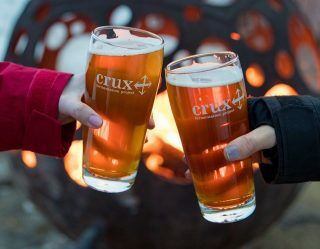 With a panoramic view of the Cascade Mountains, the taproom and beer garden at Crux Fermentation Project is the best place to observe a beautiful Central Oregon sunset. There are drink specials every day during their popular Sundowner Hour, and the beers are truly excellent. 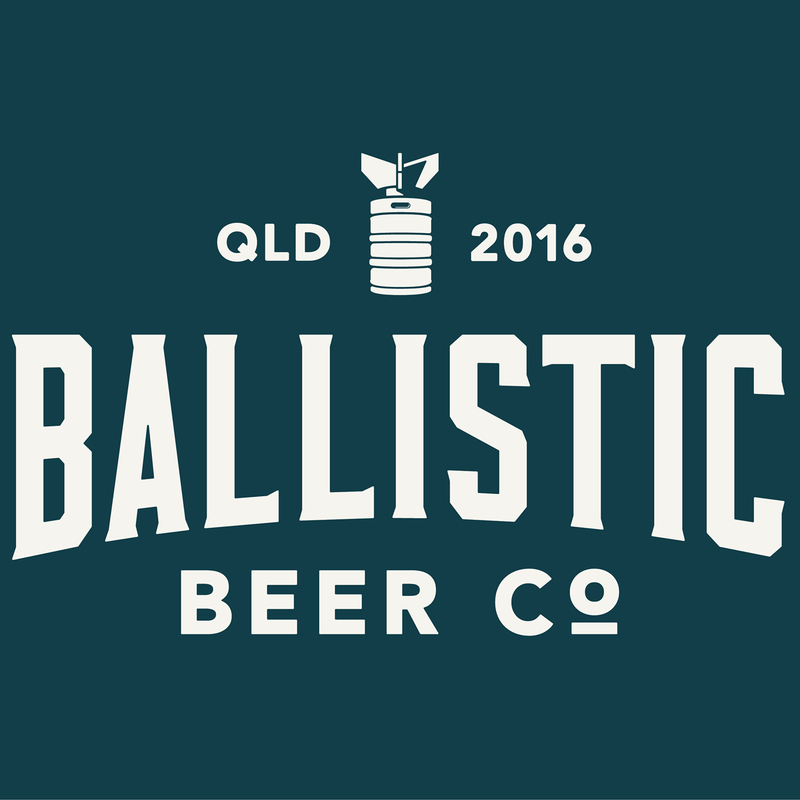 Settling in for a few hours, we tasted seriously impressive beers in styles across the board. The Saison, Flanders Red and Barrel-Aged Imperial Stout were exquisite. After Crux, dinner was at another legendary venue, the original Deschutes brewpub in downtown Bend. Wings and some predictably excellent beers were downed, before the venue closed prematurely for our liking. At the bartender’s recommendation, we strolled across to local favourite dive bar, D&D Bar & Grill, apparently the oldest bar in Bend and a very cool and atmospheric place for a digestif. Breakfast was substantial and awesome at The Victorian Cafe. Its signature bloody mary, the 23 oz Proud Mary, is a ludicrous construction: “A charbroiled smokey prawn skewer with Andouille sausage, cube of pepper jack cheese, olive, pepperoncini and lemon, red onion & grape tomato. Served with a crispy garlic breadstick, double shot of our house-infused pepper vodka.” A fine note on which to reluctantly depart Bend. En route to Portland, we took the opportunity to tick off a couple more of the Seven Wonders of Oregon. 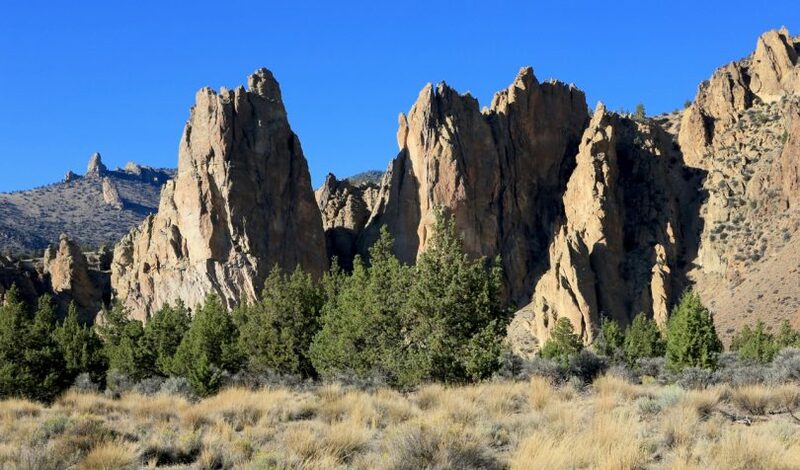 The scenic route to the capital takes you past Smith Rock State Park, another awe-inspiring natural volcanic landmark, and Columbia River Gorge. The latter is home to Multnomah Falls, one of the highest year-round waterfalls in the United States at a total height of 260 metres. It was a fitting end to our America’s Hub tour, which delivered us to my favourite Portland digs, Jupiter Hotel, for some more time exploring Beervana. James Atkinson was a guest of Travel Oregon and various partner organisations.